Our partners Contractors Marketing Services can help. Their unique business model means you can achieve amazing results part-time. CMS Sales Hunters work within your office from two to ten or more days a month. In your office, but not on your payroll — you can keep costs to a minimum while they increase your sales. CMS is led by Managing Director, David Crick MCIM – an experienced senior marketing professional with a successful track record in business development. He’s worked with the smallest contractors through to leading industry specialists with a turnover from <£1m to over £20m. 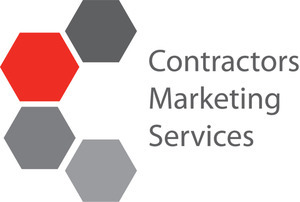 To find out how CMS can help you get the most out of Planning Pipe’s services and generate new business, develop key accounts, and improve your market penetration – call CMS for a no-obligation discussion on 01256 475880 or visit www.contractorsmarketing.co.uk for more information. For practical help on how to market your construction business, click here to download The Really Useful Guide to Construction Marketing.